A small,dark=green laguna located in the Cordillera Negra at an altitude of 3.745 m.a.s.l, From its eastern small hilltop you have a spectacular view of the Cordillera Blanca and way down, Huaraz itself. 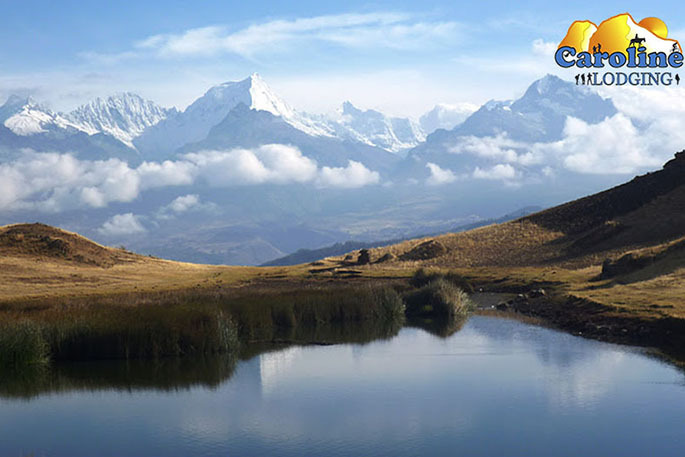 On a clear day you should be able to see the Huascaran, the Vallunaraju, and the Churup. It is an excellent hike for geting used to the height and acclimatize. To get to this lake, you have to take the public bus n°10 and ask for “Puente Santa Cruz” (+/- 20 mn). From here the trail starts winding up.Take the shortcuts indicated with blue arrows.You can easily reach to the lake in about 1h30. There is no entrance fee charged for this part of the Cordillera. 1 PEN(Soles) The bus price one-way.